It has been ages since I mentioned the Foundation. For new readers - yes I do actually have a volunteering job - when I'm not blogging (or shopping)! The last time I talked about our work was here. I explained how FMCH specifically reduces and prevents malnutrition amongst children in the Dhobi Ghat area. 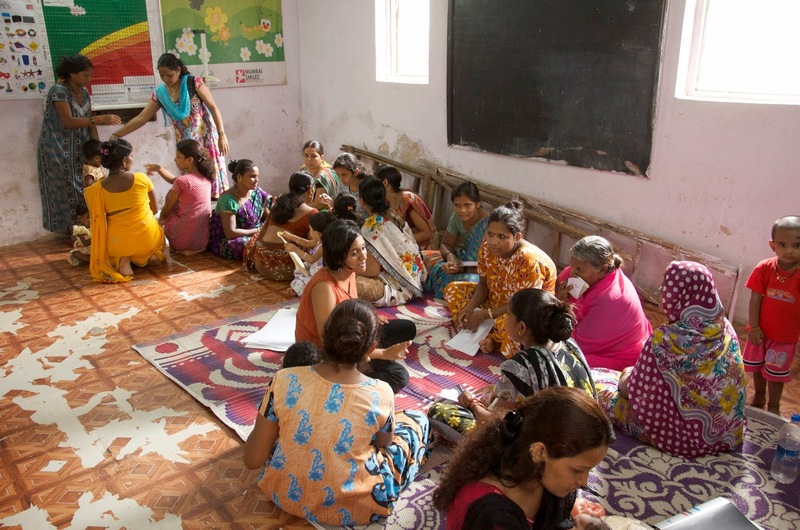 How our staff operate from tiny clinics to improve the lives of hundreds of 'India's future adults'. I also previously wrote about the opening of a clinic in a 10 square foot room in Sukhawni ...here. One of new mothers with her daughter outside the Powai centre. A lot has happened since then and it's quite strange looking back at past posts about FMCH. Over the last two years, our managing committee has been working on a strategic plan that includes objectives to take our operating model and replicate it (either directly or through NGO and corporate partnerships). Our long term ambition is that, with sufficient funding, we can open an Institute for Health & Nutrition where we can intensively train other NGO and hospital staff to run their own malnutrition reduction and healthy eating awareness programmes (through 'Training of Trainers'). 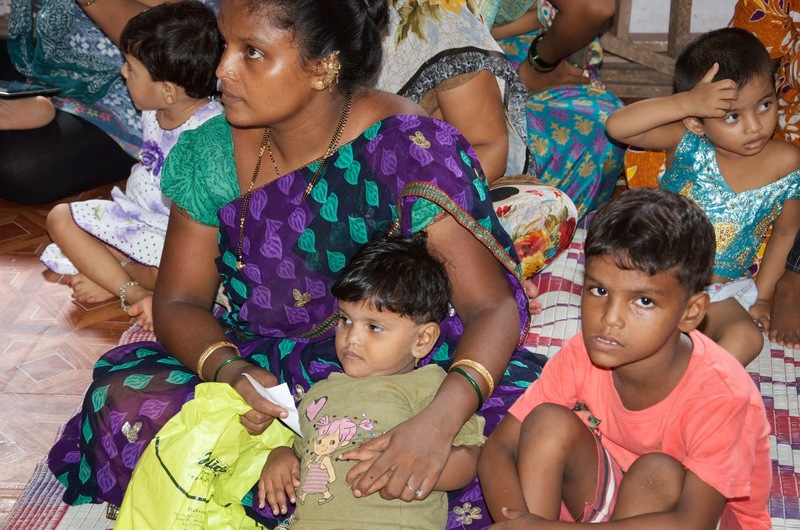 Already, we have made some significant partnerships: During the last 18 months we have implemented a successful programme in rural Maharashtra, a regular Saturday clinic in Dharavi and an intensive malnutrition centre at a local hospital. These are just the beginnings of our long term reach. Wearing her best dress and extremely happy to be here! 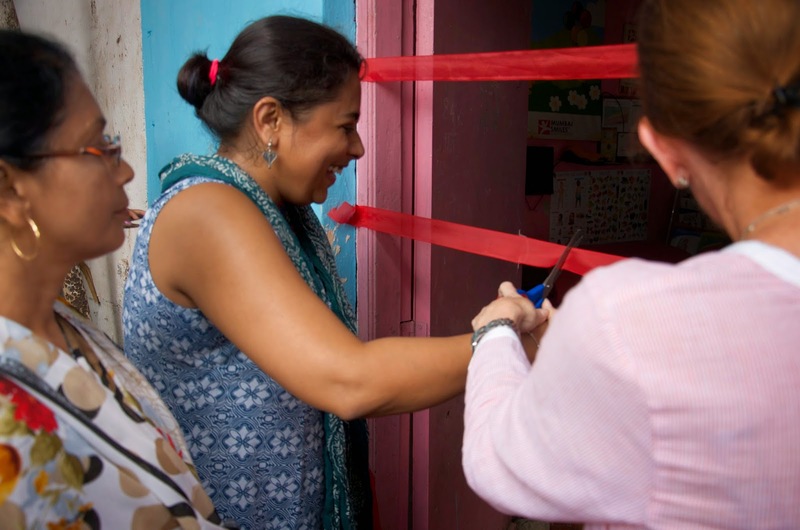 Yesterday was another significant day for FMCH, because we opened an additional centre in a Powai slum (in partnership with two other NGOs who gave us the space to carry out our work). Powai is in the north of Mumbai - about an hour or two's drive from our existing community in Dhobi Ghat - depending on the traffic. 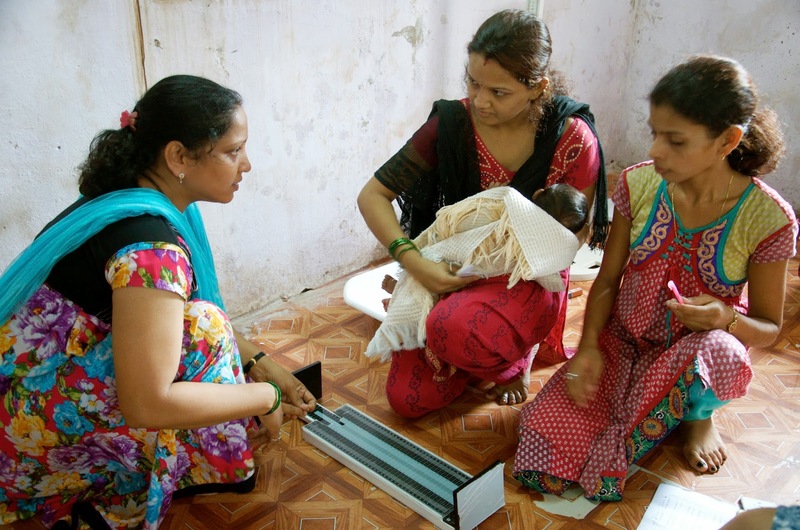 In Powai, the Foundation is now able to conduct its clinics, pregnancy classes (see below) and cooking demonstrations to provide much needed services to a wider audience. 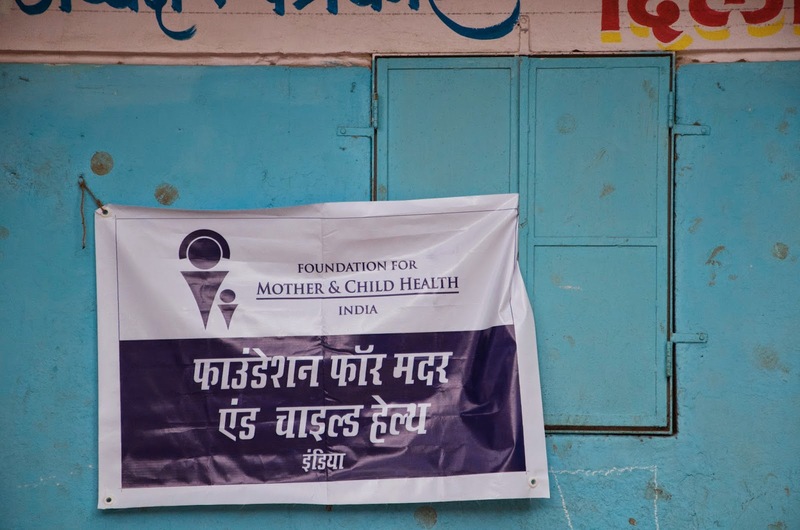 At FMCH, there is a huge focus on the first 1,000 days of a child's life - so we hold pregnancy classes to teach women about the importance of feeding themselves and their babies correctly (including breastfeeding techniques) - in the hope that a healthy child will be born at the outset. If a child is nurtured correctly within the first 1,000 days of its life (that's from conception to the age of two), it is more likely to develop properly - both physically and mentally. So this is a critical programme for us and one that can be easily replicated by other NGOs. It's been amazing to see how much the organisation has grown over the last two years. From five members of staff to nearly twenty and new initiatives and partnerships starting almost every month. Exciting times! Our head nutritionist, Neha Arora checks out one of the first customers! The women wait their turn. In the foreground, Piya uses a tablet to enter client information straight to our new database which is 'held in the cloud'. Jocelyn, one of our Community Health Managers, talks to a young mother. Many consultations between FMCH staff and women take place around the room. The space is a lot bigger than we're used to operating in so it's a nice change. 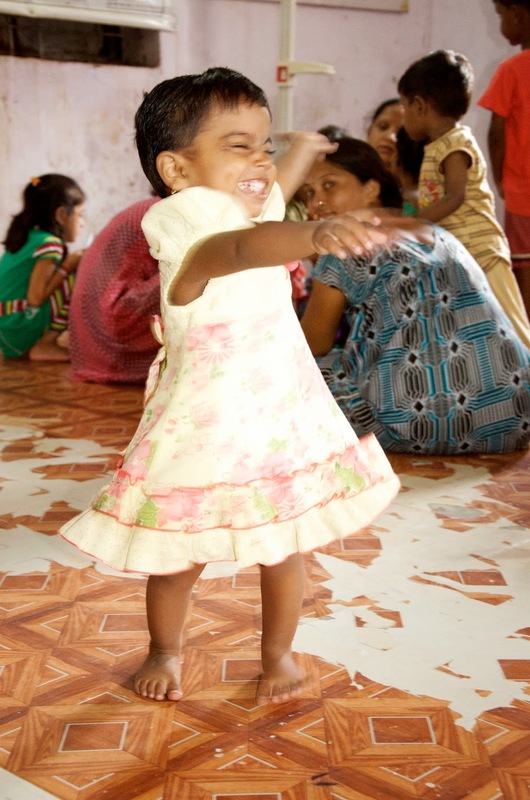 Pinky, a Community Health Manager can't get enough of this cute baby! This group sounds very worthy and how good you volunteer with it. It feels nice that with joined efforts from the government and foundation of India, an health care centre has been opened for mothers and their children. It is nice to see that CSR foundations in India are working hard for the betterment of the society.